Today’s Immigration is a website that is meant to help inform visitors of the many immigration challenges and concerns that exist. 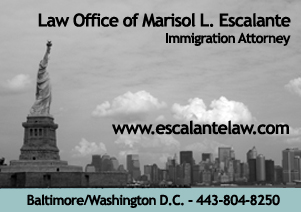 Whether you are looking for an immigration lawyer, applying for a green card, or trying to obtain a work visa, we hope that through the information provided here you will be better equiped for those tasks. We are a new online presence in this massive information bank that is immigration. Please be patient, feel free to register and offer any suggestions you might have. We appreciate your interest.